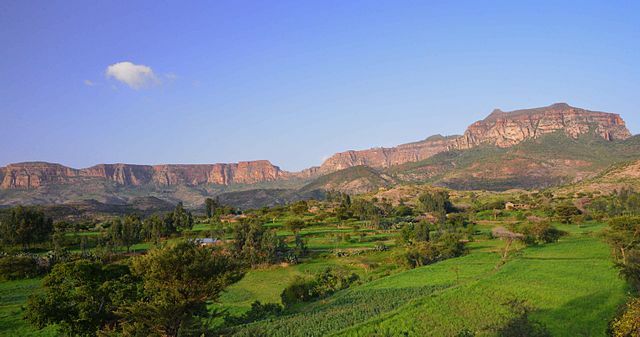 The World Future Council, which organised the award with the United Nations Convention to Combat Desertification (UNCCD), says the Tigray Region is proving to the world that land restoration projects can make a real impact. Almost 40 percent of the Earth’s land is now covered by drylands, which are particularly susceptible to drought, the effects of climate change and poor land use – including overgrazing and deforestation. Tigray’s drylands are home to more than 4 million people, but the local government has taken action to halt and reverse the spread of infertile land. The government has mobilised villagers to dedicate 20 days per year, volunteering to build terraces, walls, irrigation systems and other projects. Their efforts have resulted in rising groundwater levels, a reduction in soil erosion and improved ability for people to grow food and generate agricultural income. Since 1991, the Tigray Region has improved soil and water conservation, closing off 1.2 million hectares of land to allow plant regrowth. The region is now greener than it has been for the last 145 years, according to the World Resources Institue – and this is because of human intervention.